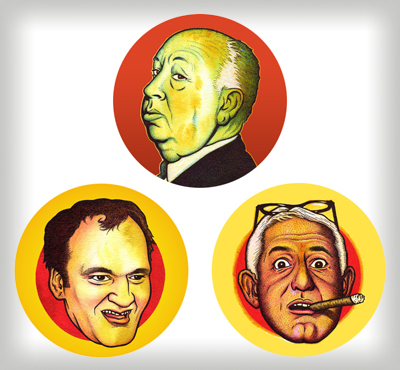 Alfred Hitchcock, Quentin Tarantino, William Castle. Pinback buttons are 1" in diameter (a bit smaller than pictured). Price includes shipping. I accept PayPal.